Priyanga Pathmanathan is currently completing her undergraduate studies in English and Special Needs Education at the Carl von Ossietzky University of Oldenburg. She also works as a part-time care assistant and supervises children. As a voluntary trainer at the non-profit organization Chancenwerk e.V, Priyanga teaches students in ESL and supervises them during the individual learning process. Priyanga was born in Germany and first visited to Sri Lanka in 2011 with her family when she also completed a two-week voluntary internship in a primary school. 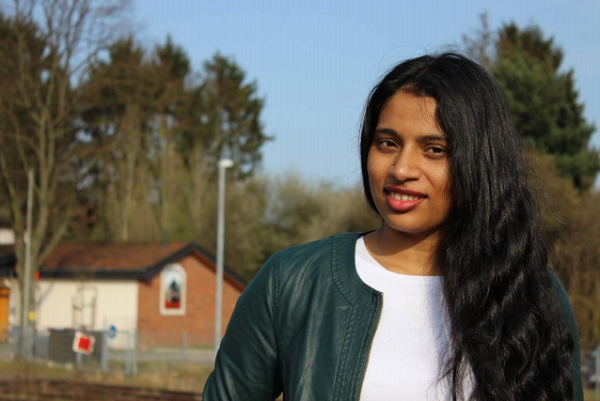 She is fluent in Tamil and is an active member of the Tamil Cultural Association Bremen. Priyanga will be placed in the position of Youth Facilitator (English-as-a-Second Language) for approximately two months under the Right of Return program at the Church of the American Ceylon Mission. We asked Priyanga to share some thoughts on her upcoming placement. Stay tuned to this blog to follow Priyanga’s work in Kudathanai this year.